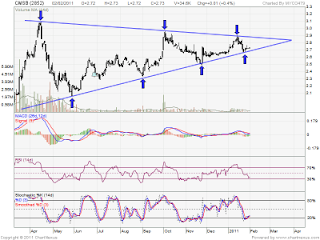 CMSB seem like forming symmetrical triangle. 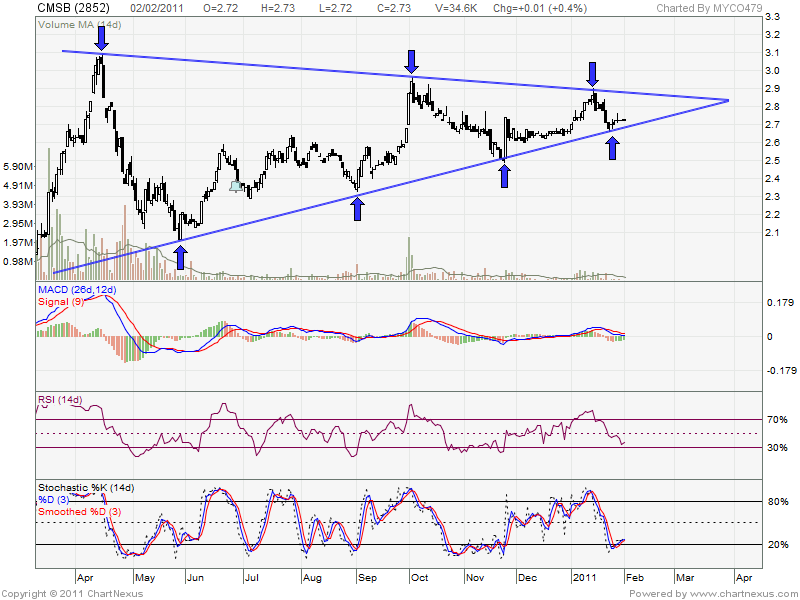 If able break up the triangle, it will retest RM2.95 & RM3.07 resistant level. I already study this company..